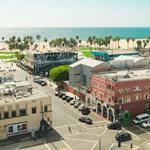 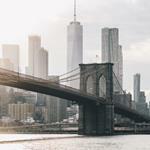 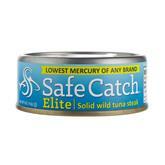 Safe Catch is the only brand with the technology to assure PURITY in every fish. 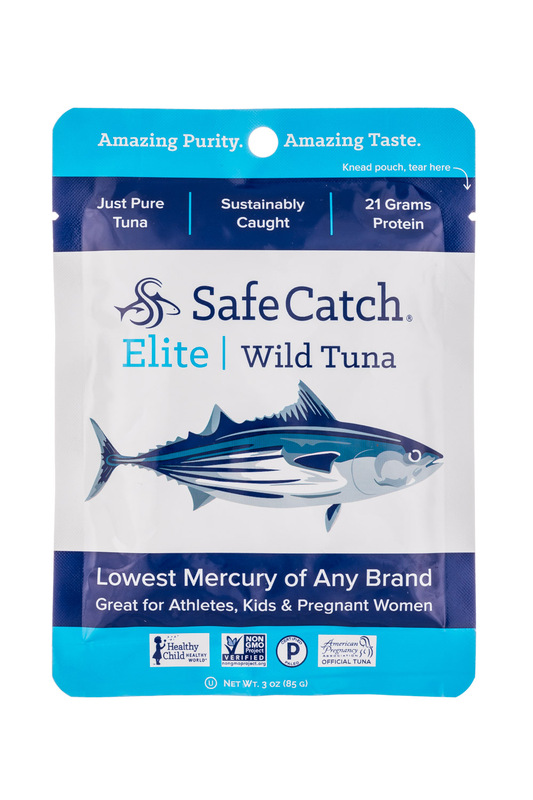 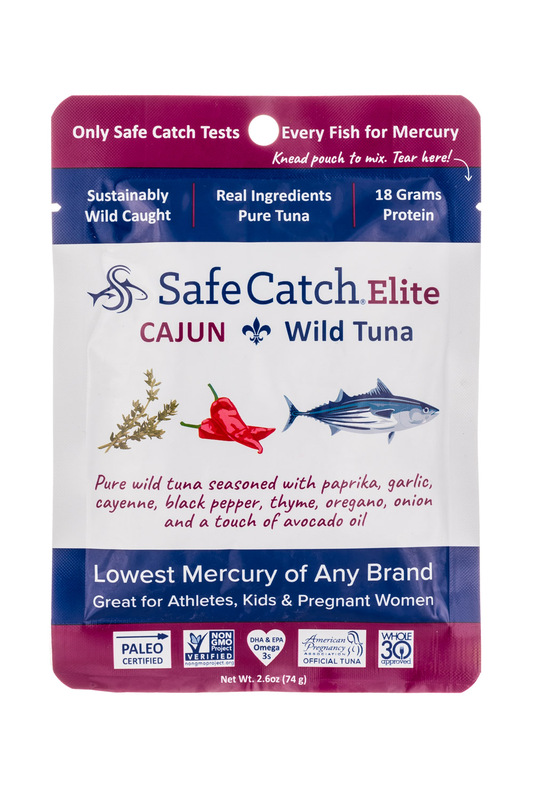 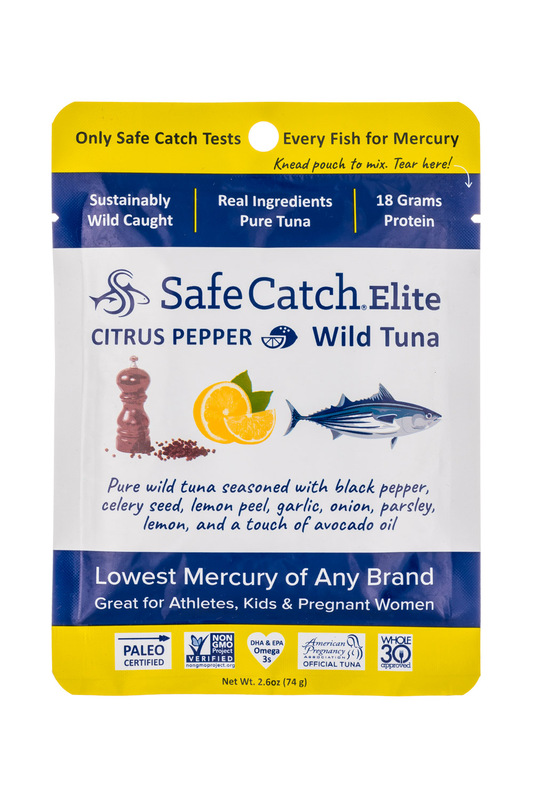 Now expecting moms, children, athletes and seafood lovers everywhere can eat Safe Catch Pure Tuna, and be worry free! 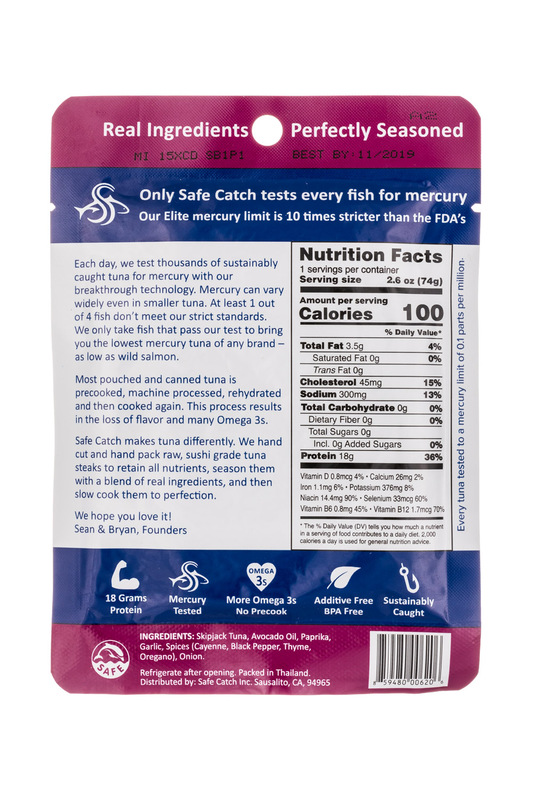 Lowest Mercury Level of Any Brand: The FIRST and ONLY brand to test every fish for mercury. 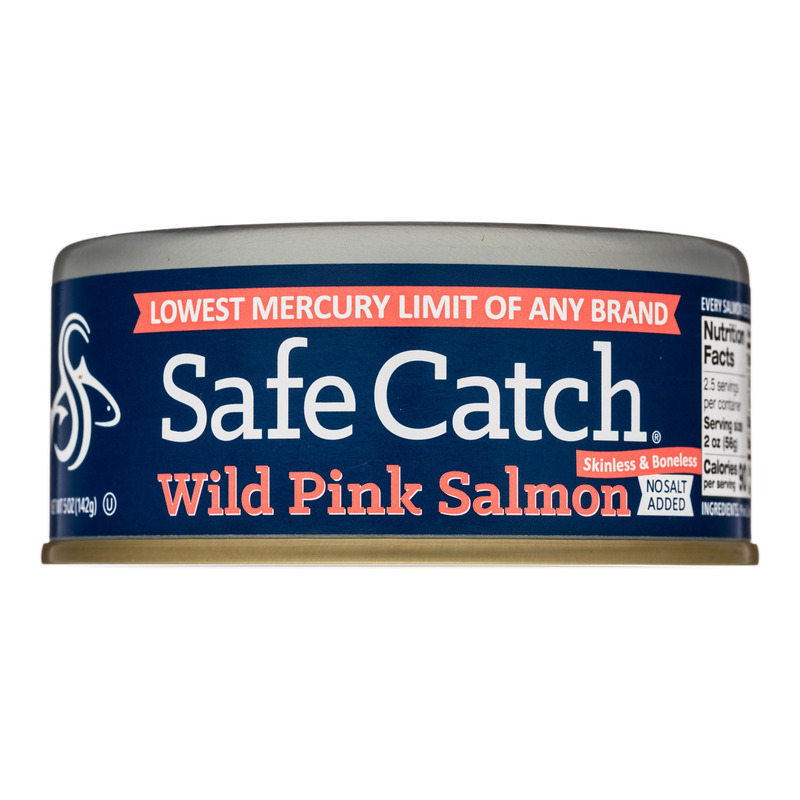 Between 70-90% stricter than the FDA’s mercury limit. 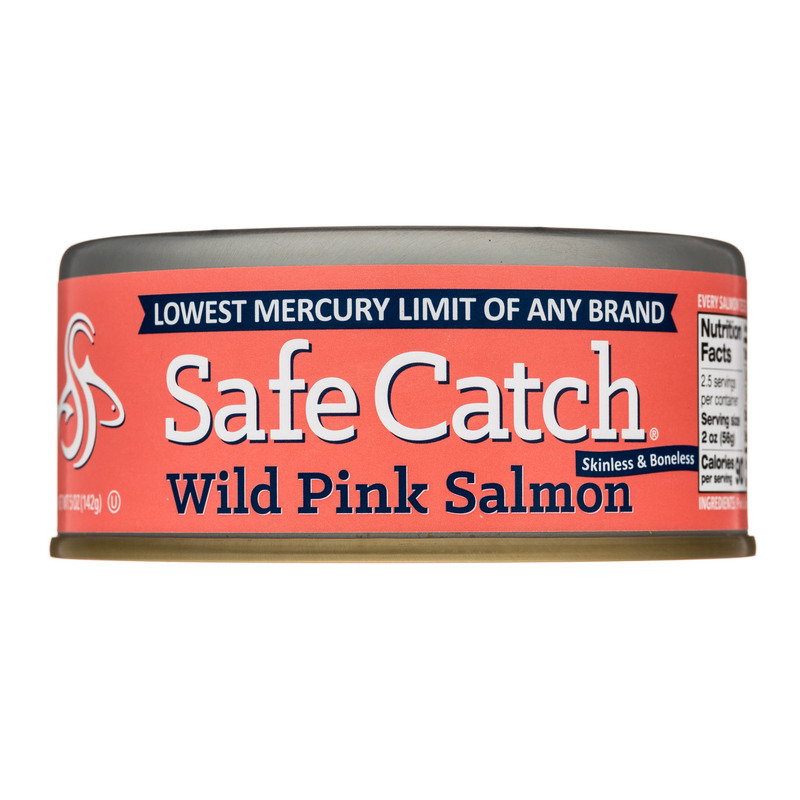 Our WILD SKIPJACK is as pure as wild king salmon. 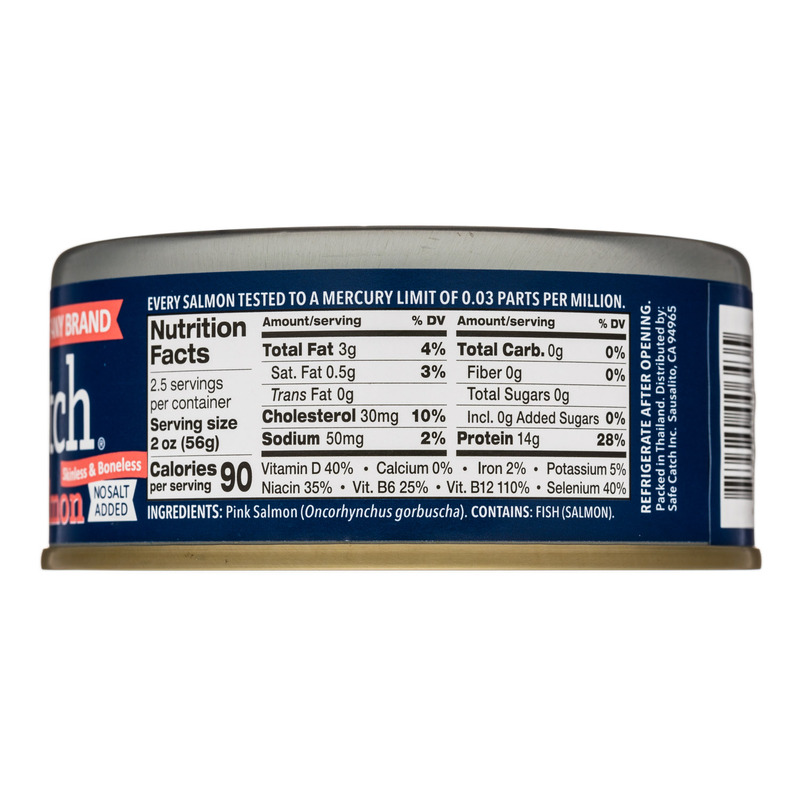 More Nutrients and Delicious Flavor: We hand pack raw and cook our tuna once to seal in all oils vital to your brain, muscles, and recovery. 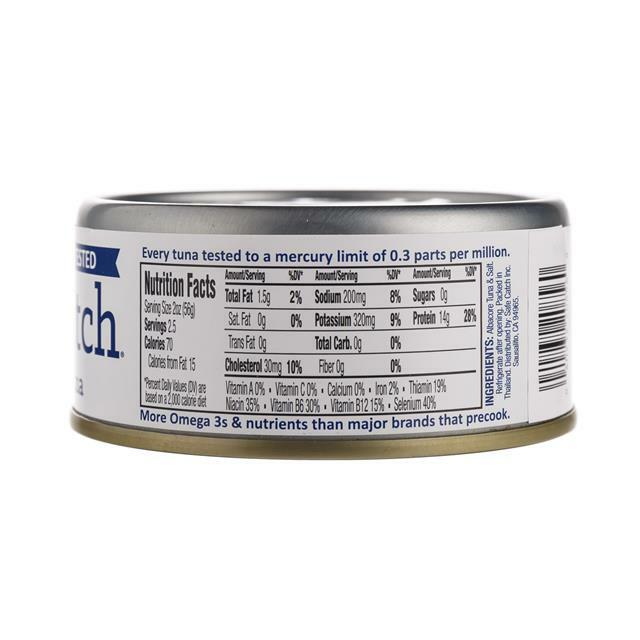 Most brands lose up to 80% of Omega-3s by cooking their tuna twice. 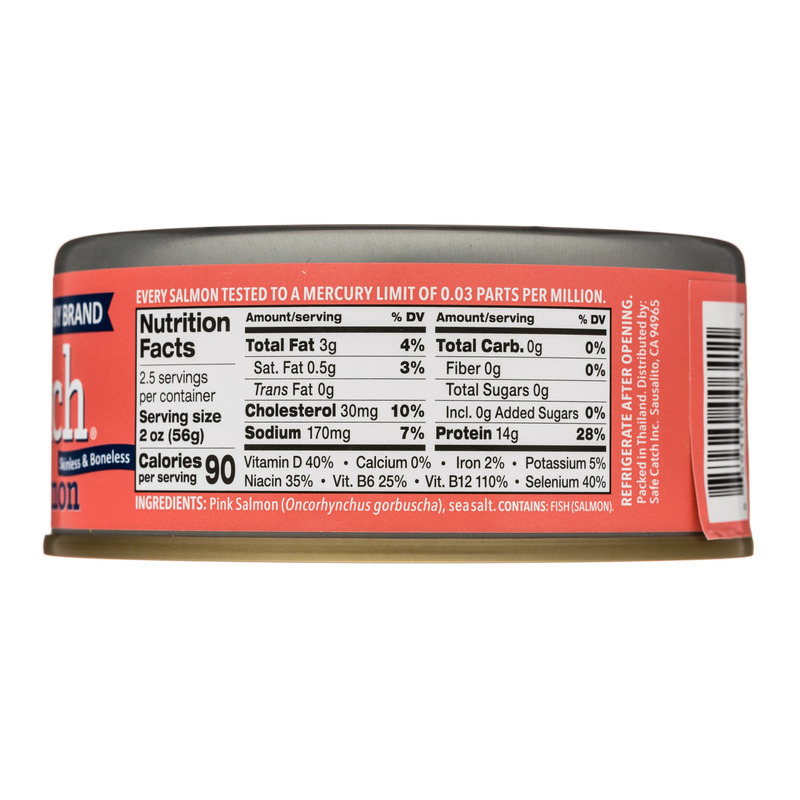 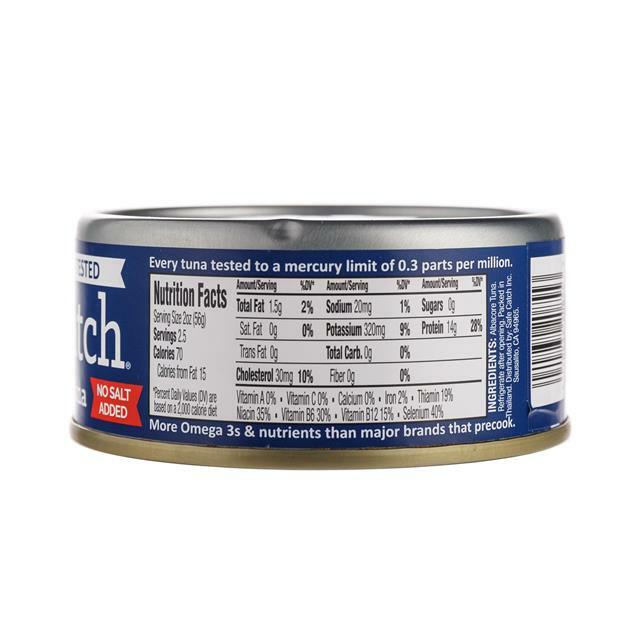 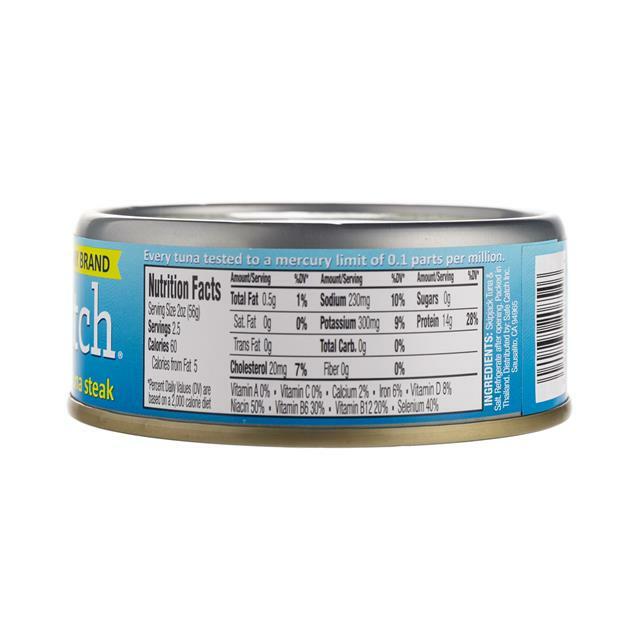 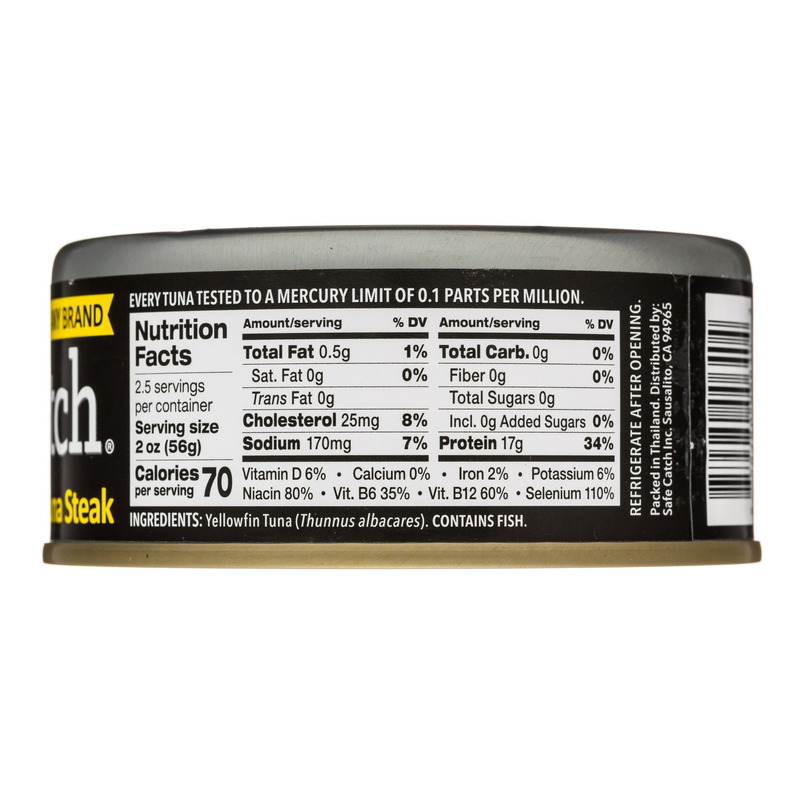 Amazing taste and solid tuna fillets in every can. 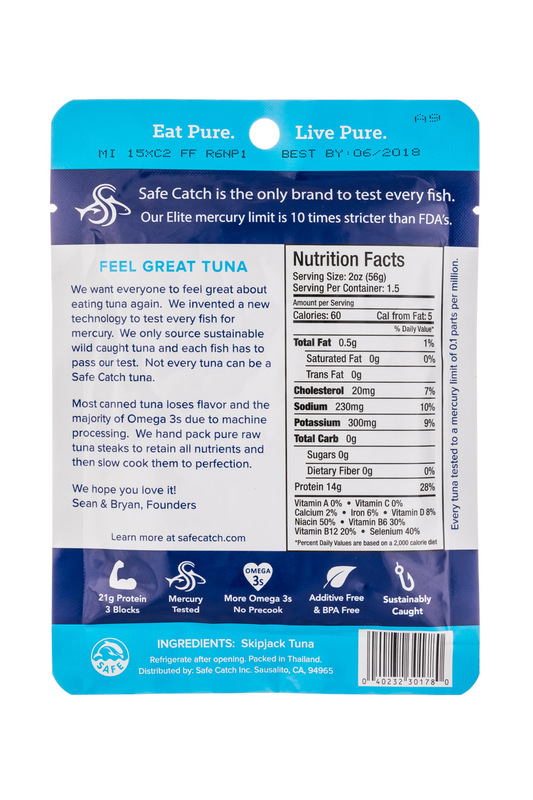 NO fillers, additives, GMOs, and BPAs. 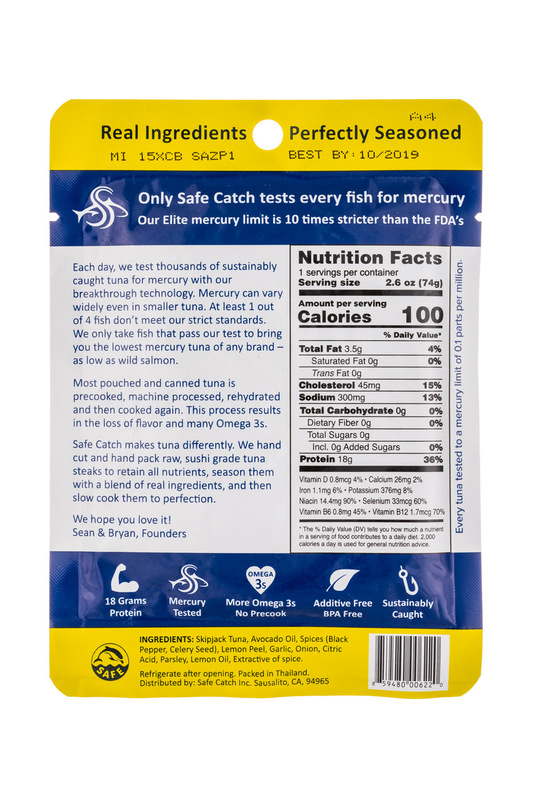 Now thats what we call a 'Super - SEAfood!' 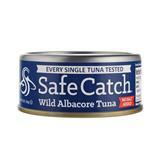 Responsibly Caught: Sustainable and traceable from our captains to your kitchen table. 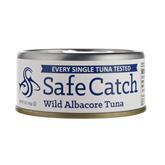 Pole and line caught albacore from managed fish stocks. 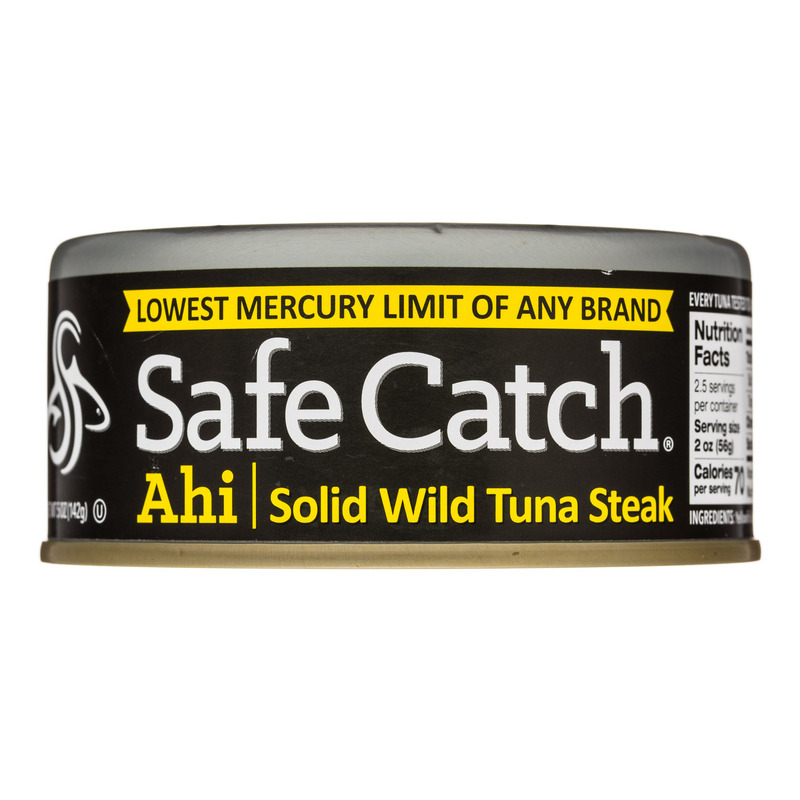 Dolphin and turtle safe.